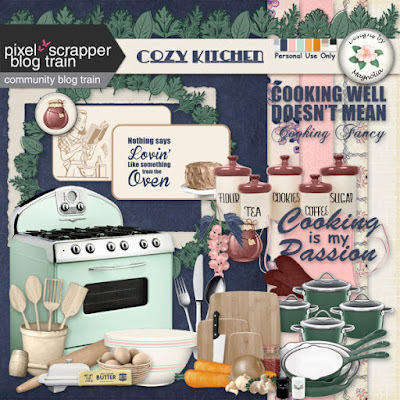 Hi All - Happy September and welcome to the Pixel Scrapper blog train. 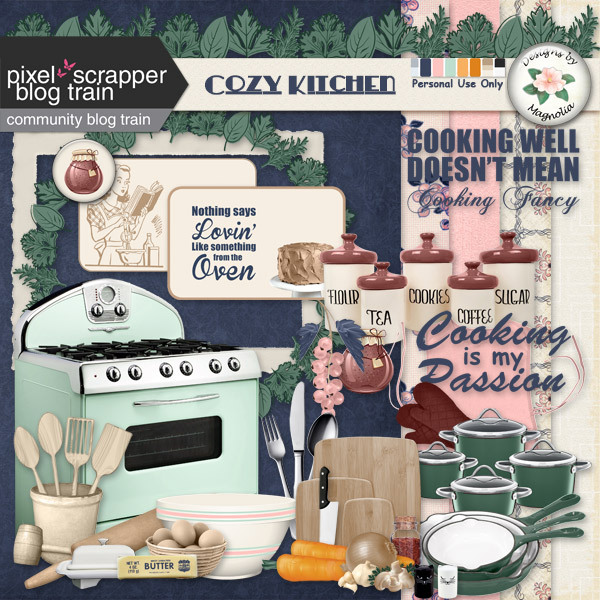 The theme is Cozy Kitchen and the designers at Pixel Scrapper have provided some wonderful kits. My contribution is below. If you haven't come from Pixel Scrapper, be sure to head there next. As always, there are many wonderful kits and you can find them here. Thank you. 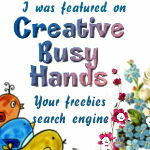 I love your word art! Thank you for the great addition to the PixelScrapper Hop! Thank you for your part! Thanks so much love the aqua stove . What a great theme. what a great kit, thank you!